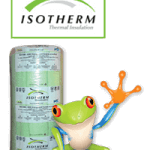 ECOSE THERMAL TECHNOLOGY one of the most advanced insulation products in the world. 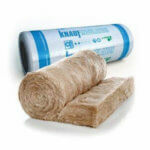 Knauf Ecose Insulation is a German insulation manufacturer. In fact, this listed company has manufacturing plants in 35 countries. This is one of the worlds largest Thermal insulation manufacturers. The Ecose Thermal Insulation is one of the highest grade insulation products in the world. With typical German quality. Installing the correct insulation is important. 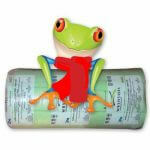 However there are many insulation products on the market and not all are SANS compliant. When we insulate your home with SANS compliant insulation like Ecose you will have a certificate to prove that your home is SANS compliant. What is SANS compliant insulation? As a rule SANS compliant roof insulation is insulation that achieves the standard that is required for the area that you live. Therefore in Cape Town the SANS compliant insulation will be approved insulation products that are safe and achieve the R-value specification for the Cape. As a result the Ecose Insulation exceeds the recommended R-value. And Ecose Insulation is therefore a product of choice. What makes Ecose Thermal Insulation so effective. Firstly this insulation material is designed and manufactured to European standards. In short, Ecose is manufactured to the highest international standards. 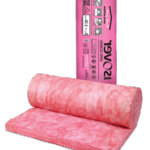 In fact, this insulation is manufactured with no added Formaldehyde. Ecose Thermal Insulation is a natural brown color. No dies or pigments added. In fact, the Ecose Insulation is one of the most energy-efficient insulation materials available. Therefore improving overall temperature in the home 4-8 degrees in summer and winter. Reducing heat loss or gain via the ceiling as much as 90%. Roof Insulation reduces condensation in the home. Installing Wind Turbine Roof Ventilators improves the removal of wet damp air in the ceiling space thereby improving the reduction of moisture in the roof substantially. With a SANS compliant R-value 3.78 when installed. This is great as the insulation exceeds the required R-value 3.70. In fact R-value of insulation is the most important factor. So what is R-value and why is this so important. Firstly R-value is the ability of the insulation to retard the flow of heat from one area to the next. Secondly Ecose Insulation R-value exceeds the required value. Ecose has a Class A 11 fire rating and is classified as non-combustible. This Ceiling insulation material has the highest fire rating in South Africa. In order to demonstrate that these products are fit for the purpose for which they were intended they have a CE Mark. The CE Mark is the manufacturer’s declaration that the product complies with the essential requirements of the relevant European health, safety, and environmental protection legislation. In fact, a typical CE mark on an insulation product details the products dimensions, thermal performance and its reaction to fire classification. Fact is our homes are most likely our biggest investment. Therefore installing Ceiling Insulation with an A11 fire rating is important. In fact, most fires in the home start in the roof space. All electrical wires run across the roof area close to the ceiling. Should you have an electrical fault while away the insulation can reduce the impact of this by reducing the flame entering the home. 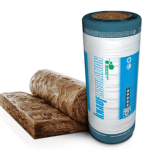 As a matter of fact, Ecose Insulation is regarded as an Eco-friendly insulation product. Manufactured from rock, as well as silica sand and recycled glass bottles. The resin binder is the best in the world. The Ecose Insulation is soft to touch and is a natural brown color. In fact, this Roof Insulation will outlast the lifespan of most homes. Improve temperature in the home in summer. As a result of the Ecose Insulation laid directly on the ceiling. Therefore reducing heat flow via the ceiling as much as 90%. This, in turn, means lower energy bills as a result of improved temperature. Therefore improving the internal temperature in the home by 4-8 degrees. This insulation has great thermal properties and is regarded as the best for freezing European winters. Therefore when laid on the ceiling one can expect a substantial benefit. As mentioned earlier this is the highest grade insulation available. Ecose Thermal insulation will reduce heat flow from the home into the roof space via the ceiling by as much as 90%. This, in fact, will give an overall winter benefit of 4-8 degrees. Reducing the need for heating. As such reducing the need for energy. Therefore saving on energy costs. In fact, as with all Roof Insulation, it must be installed directly onto the ceiling. Roof Insulation installed following the pitch of the roof in a standard roof space is a waste of money. In these applications, homeowners will be warming up the roof space with little to no benefit in the home. Ensuring there are no gaps when the insulation is laid from end to end in the roof space. Formaldehyde is binder for all roof insulation products. As a result of the potential health of formaldehyde Ecose Insulation as well as the glass-wool Aerolite have abandoned formaldehyde for more natural binders. 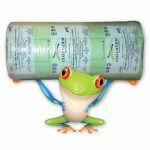 As a result Ecose Insulation is regarded as one of the safest insulation products on the market. Formaldehyde is a carcinogen and causes asthma and developmental harm. These resins impact indoor air quality, which led green building rating systems to reward the avoidance of formaldehyde, through red lists and rating systems. Thermal insulation is an insulation that will restrict heat loss or gain. Ecose thermal insulation has the ability to reduce heat flow in or out of the roof space efficiently. Therefore allowing energy saving as a result. Energy saving is the main objective of all Thermal Insulation products. In fact, industrial manufacturing plants rely heavily on the energy-saving benefits of Thermal Insulation. 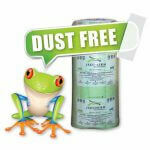 Ecose Insulation reduces condensation in the home. Consequently homes insulated with high quality insulation have an improved temperature of 4-8 degrees. As a result Knauf Ecose Insulation has proven thermal abilities. Condensation develops when the room is exceptionally cold or wet clothing etc are in the vicinity. As a result of warmer air in the room condensation improves substantially. Couple with the condensation is the potential for ceiling mold in these cases. As one would expect a warmer house in winter reduces condensation and mold substantially. Finally, a correctly insulated home will give many years of energy saving and comfort. In fact, tests have indicated that homes with good Thermal Insulation should cover the cost of installing the insulation in 2-3 years. Thereafter giving years of energy saving and comfort. So you have noisy neighbors or you live on a busy street. For the most part we assume there is nothing we can do. In fact installing Ecose will reduce the noise substantially. Especially that when one considers the the Ecose Insulation has one of the best NRC (noise reduction coefficient) on the market. As a result Ecose Insulation is installed in night clubs as well as pubs to reduce noise levels leaving these buildings.